Piali here, sharing a gift idea with you all! SEI carries a variety of albums, ready to use and makes a perfect gift. 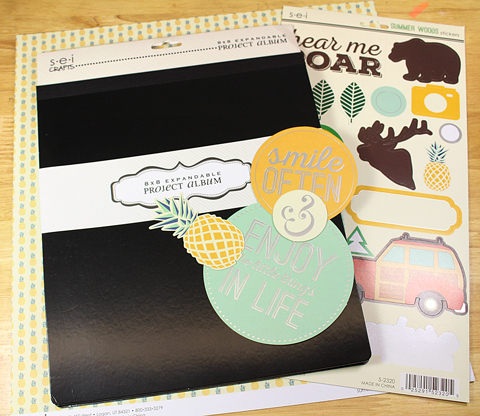 Today I have a simple project using a 8X8 album. 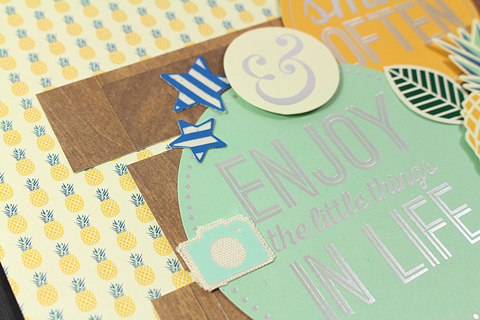 I wanted to send a gift in the mail for a new scrapbooker. I embellished the cover of the album only. I used the Summer Woods collection for this project. One of my very favorite one! I kept the packaging of the album intact so it easy for the recipient to use. 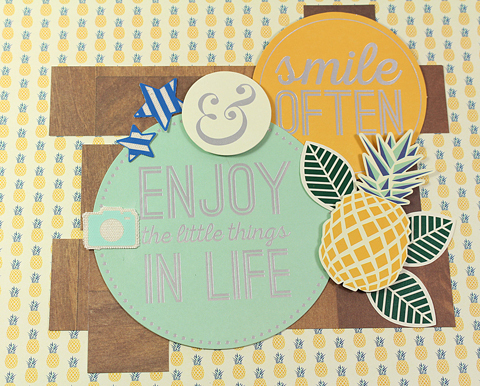 Love the cute pineapple print and die cut! 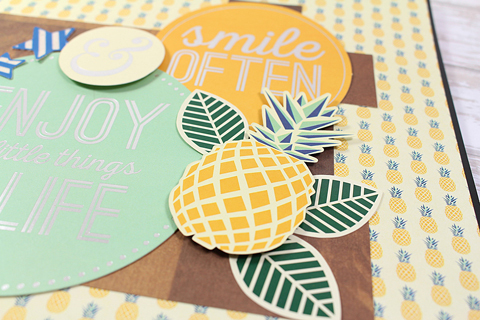 I also used the fabric sticker, fabulous product! Hope you all love this idea! The album is pretty flat and it will great for sending by postal mail.